There is also a Flick Gesture Trigger which is created by Jocelyn Villaraza. 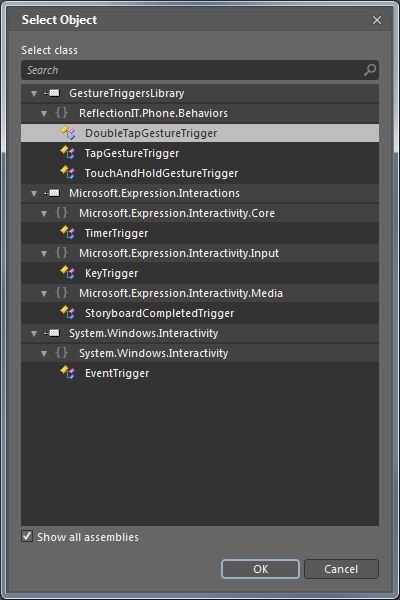 Expect to see more Behaviors, Actions and Triggers for the WP7 soon. 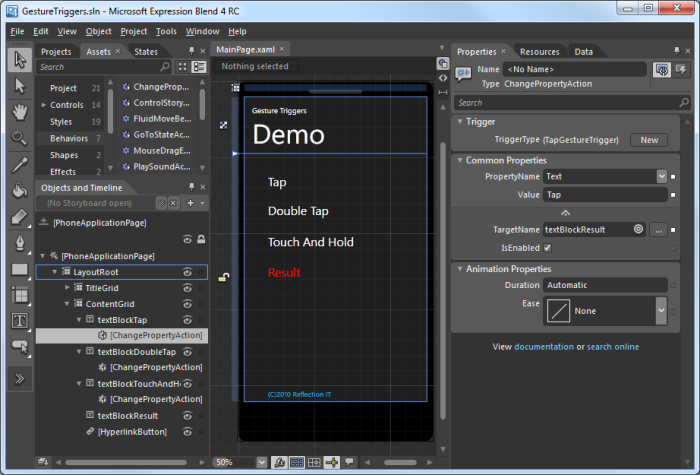 The beta version doesn't support the IsTapEvent property on ManipulationCompletedEventArgs. I have fixed this using an extension method. You can download the Beta sourcecode from here.